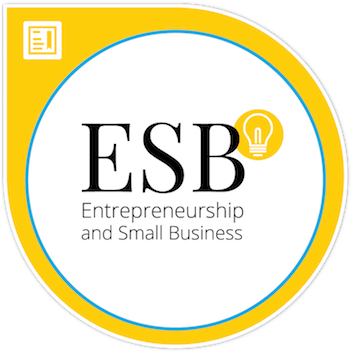 ESB Mastery status in Entrepreneurship and Small Business Certification (ESB) Achieved! At 4:00pm On 3/21/18 I attended the Certiport certification lab presented by Certiport at the 2018 NCCIA Conference located at Asheville-Buncomb Technical Community College in Asheville, NC. I chose to attempt this exam because the ESB certification is built to test and validate knowledge in entrepreneurship and small business management, and as a senior partner within a design firm, as a design firm owner, and as an individual who works relentlessly with small business clients, I felt I would have a good handle on these objectives. Tested core concepts included entrepreneurship; recognizing and evaluating opportunities; planning for, starting, and operating a business; marketing and sales; and financial management. All in all, this test was well worth the time and effort. ESB is the first certification product in the new Certiport Business Fundamentals Certification Program, and the ESB exam is intended for use primarily in academic settings including secondary schools, vocational schools, community colleges, and technical colleges. I was to have key conceptual knowledge of entrepreneurial and small business principles, as well as real-world experience as a small business manager in order to take and pass the exam. I feel validated that the skills and knowledge I have gained working in a service and trade profession as my own boss as well as working with small businesses is recognized by a premiere training institution. This entry was posted in Certification, Professional Development and tagged business, business communication, business development, business process management, certification, certiport, copyright, dockery, entrepeneur, entrepeneurship, esb, financial, manage, management, marketing, sales, scenario, small business, small business entrepeneur, trademark, tyler, Tyler Dockery. Project Management (2013) Certification Achieved! Since the end of the semester is here, but the summer semester hasn’t begun, I’ve decided that the time is right for me to cover some certification bases. Project Management is a skill that one can never seem to get enough training in. My PMP (Project Management Professional)training was some time ago, and the last project management update I received was related to the changes made in 2008 related to the PMP testing changes. With this empty time, I’m currently working on a grant with one of my co-workers (gamification of collegiate courses by Tyler Dockery, MAEd and Nicolas D’Agata, MSEd). Before the time for the summer semester is heavy upon me, I took today to get some of those updates to the PMP knowledge base under my skin so that I can be better prepared for the future. I know it sounds corny, but I’ve been waiting to take on some of these leadership classes for some time now. 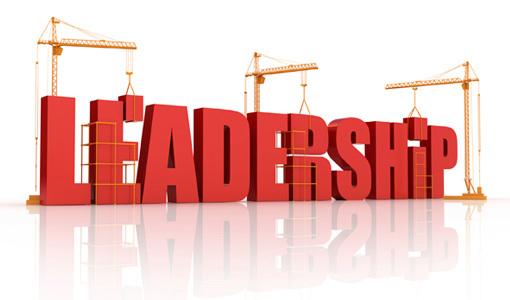 Every leadership development course offered during the last semester was given during a time I simply could not attend, or on a day in which I was not in the office. Even the closest training facility (Wake Tech’s North Campus) is roughly an hour’s drive away from my home. Could I have MADE time to take the classes by offering my students an alternate assignment? I could have, but honestly, the idea had never occurred to me. I know that looking back is nothing but stinking thinking (or whatever the word for that is these days), but I am proud to say that the school has offered training over the summer, and I hope to get the pre-reqs out of the way. 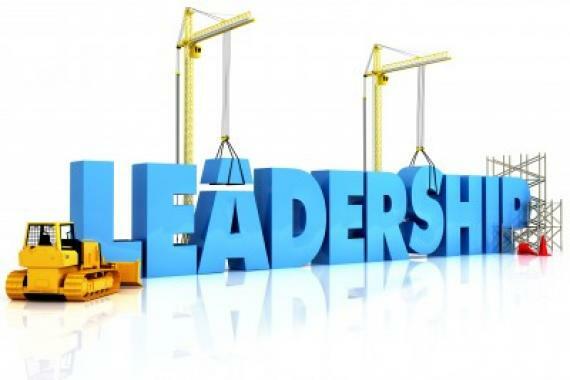 I think leadership training has lots of fantastic effects for the rest of the work situation in the classroom, employee interactions, and of course dealing with students. That said, This meeting was chock full of notes, so let’s get to it. When conveying information, always consider your audience. You would not speak the same way to your grandmother as you would to your neighbor’s child. You can never “NOT” communicate. Even non-verbal communication is communication. Words are Powerful. They are powerful tools for change, powerful tools to help, and powerful words to hurt. Once said, they cannot be returned and will not be forgotten. Interpersonal communication is communication between 2 people who have a mutual influence over each other and play a unique role in each other’s lives. As the relationship continues, the two people build personal knowledge of one another, adjust their messages and create shared meaning. I was a little bit unsure about this part of the talk in all honesty. As outlined here, interpersonal communication is only between two individuals who have “mutual influence” over each other. Does that mean I cannot have interpersonal communication with my boss, supervisor, team lead, or the team over which I manage? Application – It is important to try to keep content conflicts centered on content. When these content conflicts get out of control, that’s a signal that there is really a relational conflict underlying the content conflict. Think of a recurring interpersonal conflict you have with someone. Do you focus on the content or relation? Ambiguous refers to the fact that messages can be interpreted as having more than one meaning. We need to recognize ambiguity and try to clarify and specify to avoid misunderstandings. There are two main elements of interpersonal communication: The communication Source/the communication Receiver and the Encoding of information and the Decoding of message information. Encoding – The process of producing messages by applying a “meaning” behind the message. Messages can be defined as: Signals that serve as stimuli – they are transmitted and received through our senses. It is important to note that Messages can be verbal, nonverbal or a combination of both. Mixed Messages – When verbal and nonverbal messages don’t mirror one another. I-Messages are less likely to trigger defensiveness and creates a clear impression that the speaker is responsible for what he/she is saying. It also shows that you are expressing your own perceptions rather than accusing. Channel The medium through which messages pass or the means to communication. Competence increases as your list of skills increase. In order for your personal list of skills to increase, you must be willing to engage in “trial and error.” It is important that you not be afraid of failure, but rather that you should be open to failure as the prelude to success. Application: Think of someone who you consider to be a competent communicator. What are his/her characteristics that stand out to you? Enables you to control and influence the behaviors of others. If you have strong interpersonal skills, you will most often be able to control and influence others. Application: What are some examples of Interpersonal Skills that Display Power and Enhance your Competency? Detract? An effective communicator must be as good at decoding as he/she is at encoding. It is not just about listening, but listening with empathy and an open mind. We MUST remember that people are often not asking for our opinion or input. Sometimes they just want to be heard…..
We MUST remember that “responding” is part of the listening process. How you respond indicates how competent a listener you are…. Application: A co-worker, who you collaborate with on a lot of projects comes to you and says, “I know I haven’t been pulling my weight lately. My husband lost his job last month, my mom’s been sick and I’m not sleeping well. I just don’t know what to do.” You have been very frustrated with her lack of productivity and the fact that you’ve been doing a lot of the work. How would a competent listener respond? Application – Write down the words that you feel best represent your self concept. Why did you write those words? Other’s Images of You – How accurate is our perception of what others think of us? Social Comparisons – Who do we compare ourselves to? How realistic are our comparisons? Cultural Teachings – What messages do we receive? Presenting Self – The person you want others to see. In order to “create” this person, we manage our identities. Perceived Self – The Person you really are. Application:If and when do you move from Presenting to Perceived Self in a relationship – working or personal? In the Disclosure Relevant to the Situation at Hand? A tool used to examine what you know, or don’t know about yourself. It also connects the concept of self-disclosure to the effectiveness of our interaction with others. I do not really buy in to things like this which are really touchy-feely. Emotions are good, need to be considered, and are truly a part of communication, HOWEVER, many management decisions cannot be based upon emotion. Many management decisions need to be based upon emotionless best-practices, and doing what’s right, or what’s best for the team- rather than what you FEEL is best for the individual. Can you imagine not firing someone who drinks on the job even after citing them? Honestly, I cannot be sure that everyone is truly in touch with themselves- but I feel that I am. I don’t think I’m alone on this. That said, Let’s continue discussing the notes from the leadership session. What kind of communicator do you want to be today? This entry was posted in Leadership, Professional Development and tagged communication, competence, ernest roy, human, human relations, i-messages, I-statements, interpersonal communication, johari, johari window, lea, lea111, leadership, management, management decisions, north campus, relationships, wake tech. In order to be more effective, organizations will have to move to more organic and participative management styles.As the workforce- especially the workforce in top institutions such as Wake Tech Community College- gets more educated, we see a stronger relationship forming between education, management styles, and institutional effectiveness. In today’s professional development session, Sam Strickland made a clear connection between a more participative management style and education and skills. Unfortunately, numbers that showed a more educated workforce did not necessarily show an increase in organizational ability. If you want to have an effective management style in a heavily-educated workforce, you must adjust your organizational design and management style. These allow the performance of individuals to come together in ways that produce an effective organization; as well as individual performance capability. Historically, there is a strong connections between the level of organization within an institution and its effectiveness. There are many different management styles, but no “magic bullet” style that is always effective. The key to organizational effectiveness is finding the particular approach to management that fits the type of demands a particular technology places on the organization. This should be taken to heart within each department and division. Motivation is frequently given in terms of individual rewards, however, this does not always translate to organizational success. In order for the organization- say Wake Tech, for instance- to succeed, smart management will make a clear, visible connection between the success of the individual and the success of the organization. Self-managing teams are another great way to help individuals feel responsible for organizational performance. In an organization our size, the best management styles will contribute a sense of organizational performance, because they create an environment in which the individual feels they can influence the direction an organization takes, the decisions it makes, and future strategies or tactics the organization employs. For an organization to effectively come together, there must exist a means of organizational communication, coordination and mechanisms of control that allows the performance of individuals to come together in ways that produce a quality organization. Teams need information on their performance for self-management and interfacing with other teams. High involvement systems by their very nature require greater individual performance capability on the part of the employees than other systems. These systems call for individuals to influence decisions, exercise a broader range of skills on the job, and interact with people in groups and settings outside of the norms of most business settings. This entry was posted in Leadership, Professional Development and tagged high involvement systems, leader, leadership, management, organization, organizational effectiveness, sam strickland, teams, wake tech, wake tech community college. This entry was posted in Certification and tagged brainbench, database, management, RDBMS, relational database management systems. It has been a while since my last certification for project management was achieved, so I determined to re-up my certification with BrainBench. Project management is one of those disciplines in which revisiting past themes and getting aware of updated technology and software tracking systems can be extremely helpful and vital to effectiveness moving forward in the discipline and in the workplace. This entry was posted in Certification, Leadership, Professional Development and tagged brainbench, certification, dockery, management, master, master level, project management, Tyler Dockery.